| What is the Visa Waiver Program and what do I need to know? What is the Visa Waiver Program and what do I need to know? Technically speaking, according the U.S. immigration law the Visa Waiver Program does not grant a real visa. Those wishing to travel to the U.S. and that are a citizen of one of the 38 eligible countries (U.K., Ireland, Australia and New Zealand are one of them), can stay up to 90 days in the United States without a visa. It is important to remember that whether traveling for business, pleasure or in transit you must meet the requirements of the visa waiver program. Note also that the VWP does not provide the possibility to extend or change the immigration status of the traveler and at the end of 3 months (90 days) from the date of entry, you are required to leave the territory of the U.S.. The Travel without a visa initiative (Visa Waiver Program – VWP), therefore is a program that allows travelers of included countries * to visit the United States of America, without the obligation to obtain prior to the trip an official visa at the USA embassy or consulate. What are the requirements to benefit from the Visa Waiver Program (VWP)? The VWP allows travelers whose nationality is included* to travel to the United States without obtaining a visa. Attend events, conventions or conferences, whether its purposes is scientific, educational or professional. To sign up for training courses of short duration (not allowed to receive any compensation from the company based in the United States, excluding reimbursement for travel expenses). For more information on business trip in the U.S. under the Visa Waiver Program or with a tourist visa click here. Travel, visit, or any tourist activity, whether traveling alone or with friends / family and / or fellow travelers. Participation in social events organized by social or service organizations. Participation in music, sports and / or events related at an amateur level, as long as you are not paid to participate. To learn more about the types of visas for the U.S., whether tourist visas, business or check, please click here. Participate in courses of study that will give credits. To practice as a foreign journalist, or business related to radio or film, or any other type of exchange of information with other countries. How to travel under the VWP? You need an ESTA. The visa waiver program is an immigration agreement between the United States and the 38 countries mentioned above. It establishes a rationalization of the immigration system. This agreement provides that a traveler belonging to one of the 38 countries can apply for a permit online to travel in the United States. The implemented system will search its database for the candidate, and the outcome of this research will determine the candidate’s eligibility. This authorization is called Esta (acronym of electronic system for travel authorization). Visit the ESTA section for more details, to request the ESTA and pay the required fee. If you arrive by air or sea, the VWP requires that your airline or cruise is among those recognized by the government of the United States. In addition, your ticket may not be one-way. Upon arrival in the U.S., in fact, you must have a return ticket or one to another country, whose travel date is not greater than 90 days from your entrance date, as provided in the VWP. Assuming you have previously traveled in the U.S. under the VWP or with proper visa, it is essential that you complied with all the immigration requirements while in the USA. It is also necessary that, if in the past you required a visa at the U.S. Embassy or Consulate, this has been never denied. Also, when you apply online for ESTA, you waive the right to contest the final decision of the immigration officer. In other words, even if ESTA is mandatory to travel in the U.S., this does not guarantee an entry. The final decision regarding the acceptance of entry of any traveler in the U.S. depends on the visa officer. He has to stamp your during the routine checks on your arrival in the U.S. The VWP requires the traveler’s passport has certain requirements. For example, you must have at least six (6) months validity from the date of entry into the U.S. (with the exception of specific cases for a given country). In addition, all members of your family including infants and children, should be in possession of a passport. Czech Republic, Estonia, Greece, Hungary, Latvia, Lithuania, Malta, the Republic of Korea and the Slovak Republic With a microcircuit (chip), which included the details of the data page of the passport – this is known as e-passport. Taiwan With a microcircuit (chip), which included the details of the data page of the passport – this is known as e-passport, plus the national ID number. What is a machine readable passport and an ePassport? In case of doubt if the passport is machine readable or not, we suggest you contact the office where the passport was issued. 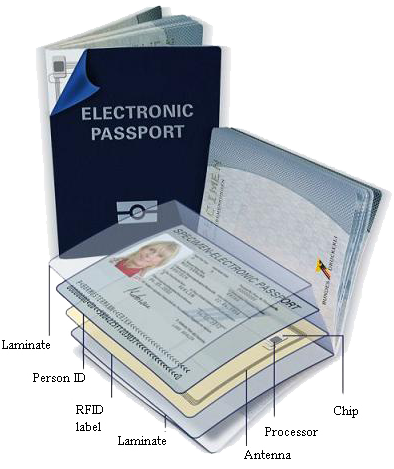 Passport and personal identity data are embedded in a microchip, which is part of the passport. 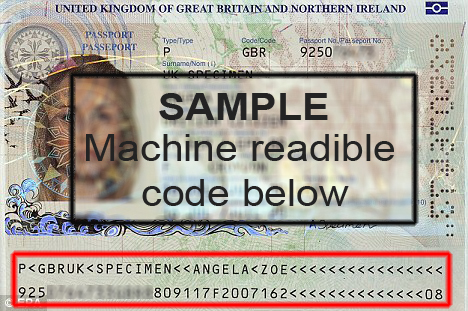 These data include the two lines characteristic of machine readable passports, and contains facial recognition information. This chip is scanned to identify the traveler’s passport. If you are in an emergency situation or in possession of a temporary passport, and are about to enter the United States through the VWP, the passport must be electronic. This is also true for travelers in transit to a destination other than the United States. Although eligible for VWP, if you prefer, you can still apply for a type “B” visa. If you do not meet all the requirements set out in this section of this website you will have to apply for a type “B” visa. If you happen to arrive in the U.S. on a flight of an airline company or a cruise that is not recognized by the U.S. (example: private plane, etc..) you should apply for a visa. We encourage you to review the list of companies approved by the government of the United States. Is it possible to apply for the VWP if in the past a visa has been denied? If you are in the situation described in the title of this paragraph, we recommend you to apply for a visa at the U.S. Embassy or Consulate closest to your city. And / or a denial of entry into U.S. territory, resulting in a forced repatriation. If you go to the U.S. under the VWP, you can visit Canada, Mexico or an island near the USA for a short time. When you are back on American soil, you will be readmitted under the ESTA, provided you still comply with the requirements of the VWP. The limit of ninety days, maximum stay allowed by the VWP, still applies when you take said short trips. Therefore, your stay including short trips, cannot be greater than ninety (90) days. What are the criteria for a nation to be included in the VWP?